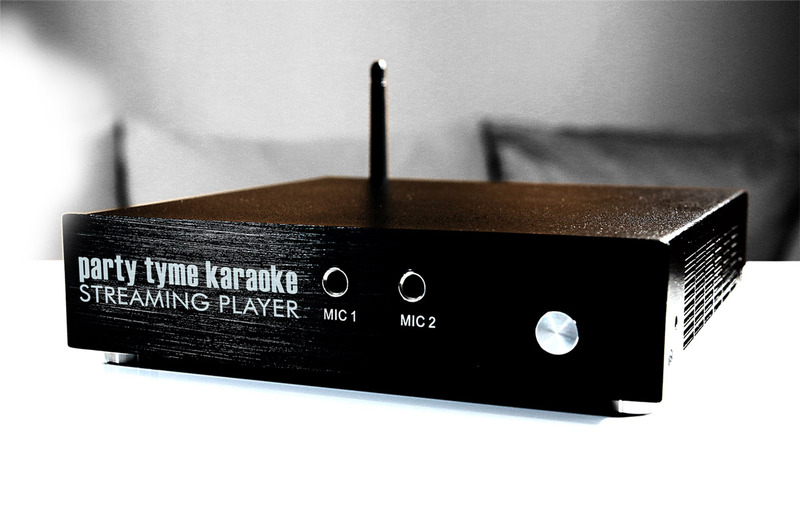 Karaoke software adds extra fun to your social and family life. Whether you are a single looking to meet others, a mom needing to entertain your children, families singing karaoke together, karaoke is your business, or you are a professional singer needing backing tracks, discover the best karaoke software and how to save some money. "Simplicity is the polish of Masters." 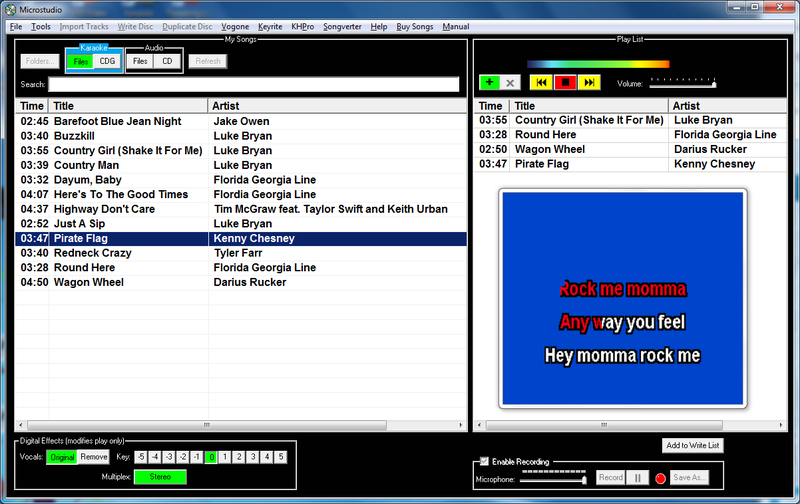 With 51 years of experience, MTU's Karaoke Software is the easiest to use no matter how old or young you are! Download a of any of our software products. All MTU Software supports Windows 10. These fully integrated Karaoke Computers are extremely powerful in a thin package! All MTU karaoke computers are setup with the MTU Video Hoster® Karaoke Hosting software program, installed and ready to go from MTU! 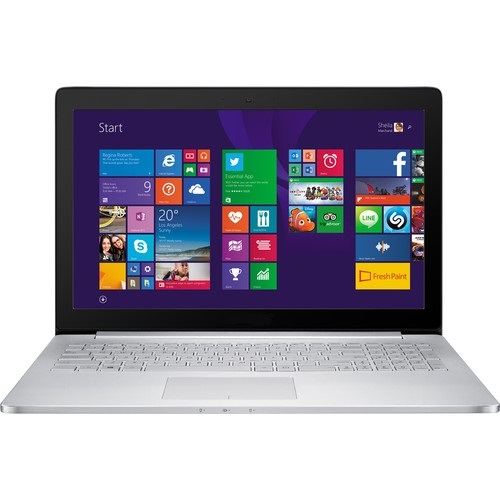 These ultra-portable karaoke systems come with Video Hoster karaoke hosting program installed and the latest Windows 10 operating system. All MTU Karaoke Systems are ready to take your karaoke shows into the digital world out of the box (just add your music) while saving your knees and back. Karaoke Suites™ - Save money with these Professional Karaoke Software package deals. Includes Microstudio karaoke software player/reader/writer, Vogone to Remove/Reduce Vocals, KHPro to create new Professional Quality Karaoke Songs, and Keyrite cdg/audio key changer; delivered on CDROM. Microstudio® 4.30 - Backup Karaoke (CD+G) Discs; restore scratched discs better than new; read individual tracks as "BIN, MP3+G or ZIP files; make your computer a Karaoke Player for all Karaoke formats; record and mix singing to music; record mic-in only; live key change and vocal removal; Create CD/CDG discs with any mix of: KMA, BIN, MP3+G, WMA+G, WAV+G, ZIP, MP3, WMA, WAV tracks. Vogone® Version 3.51 - Easily remove vocals from your Audio CDs or MP3 music, even songs with the vocal mixed off center-stage. Your vocal removed songs will sound more like the original than you ever heard when removing vocals! Export as karaoke, multiplexed karaoke, or true stereo songs. Vogone... for professional quality music backing tracks from your music! 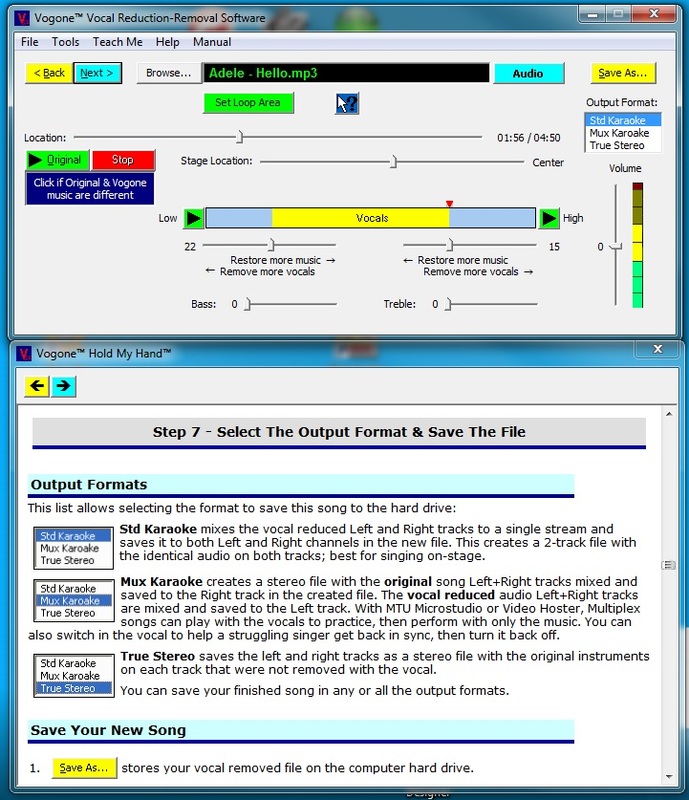 Vogone® Easy 3.41 - Make your own karaoke songs by removing vocals from center panned songs. Identical to other software to remove vocals except it is the easiest to use and the lowest priced. KHPro (Karaoke Home Producer)™ 6.00 - Create Your Own CD+G karaoke solo and duet songs from music with lyrics highlighting in perfect sync, with/without vocals, even clean up any our-of-sync songs you have. Keyrite™ 2.24 - Key change CDG files for your voice, holding the lyrics in sync with the pitch changed music. Songverter® 1.31 - File format converter that changes any of these audio or karaoke file formats into any of the same formats; KMA, BIN, ZIP, MP3+G, MP3, WMA+G, WMA, WAV+G, or WAV. 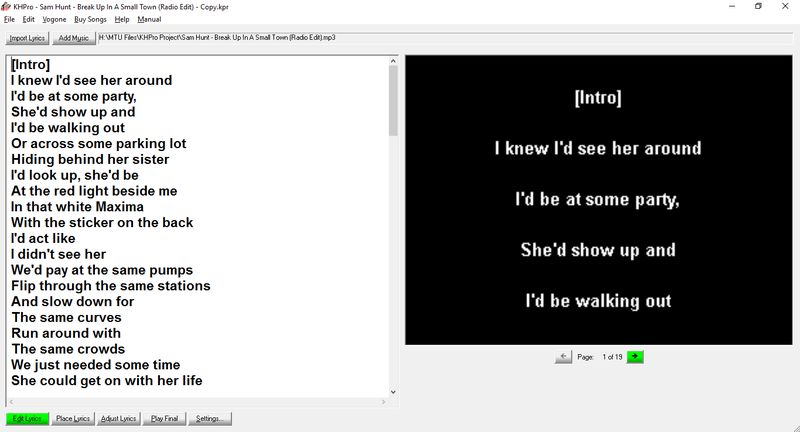 Audio files converted to CD+G formats have blank lyrics. MTU Karaoke Certified Drives™ - We test many drives on the market to find the best at the lowest price that we are confident will handle CDG disc importing and backups, including the lyrics not just the music as many drives and salespersons claim. Our drives import (with Hoster and Microstudio) and backup (Microstudio only) even very scratched Karaoke discs with pristine quality lyrics. 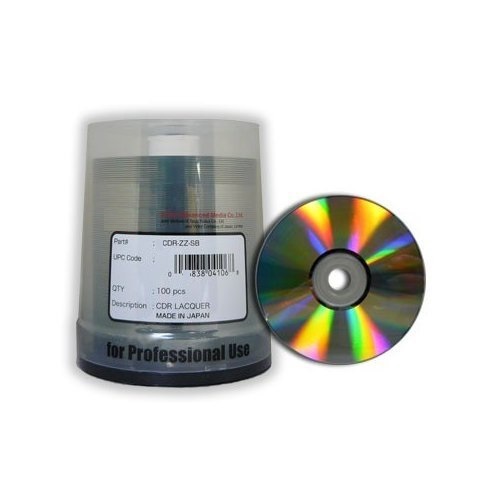 Blank CDR Discs - MTU Karaoke CDG Certified - We sell blank certified writable discs in two quantities: 100 & 300.